Le Strange Arms Hotel in Old Hunstanton is an incredibly unique and characterful hotel in that it is one of the very few hotels on the Norfolk coast that's so close to the beach and also has breath-taking sea views. 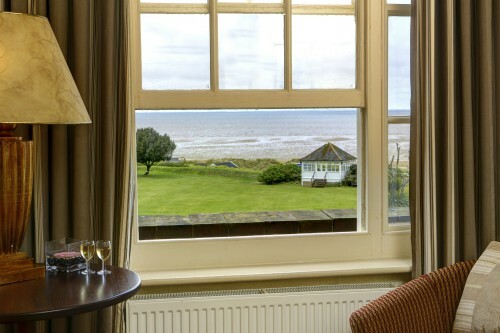 Seen from many a bedroom window, the sand dunes and beach of Old Hunstanton are literally a minute’s walk away. Le Strange Arms is set in the most perfect location for you to partake in a whole host of activities and leisure pursuits in North Norfolk! 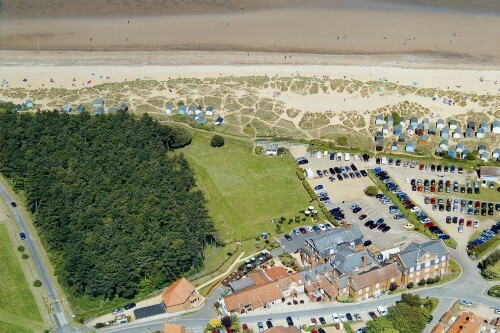 You can see from the aerial photo below how close the hotel is to the beach. Look how close the hotel is to the beach! The wonderfully large Victorian building in Old Hunstanton started life as a family farm house, built in the 1600’s. 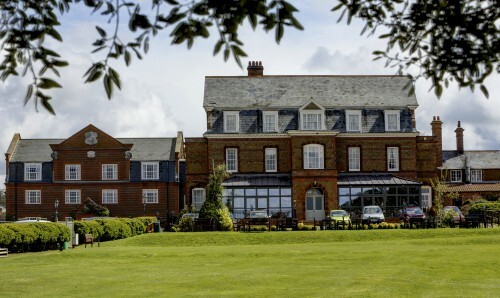 It was only in the 1800’s that it was turned into a hotel; yet another hotel that was very popular on the Norfolk coast in the Victorian era. It still retains the large rooms and tall ceilings, there’s definitely no cramping at Le Strange Arms! 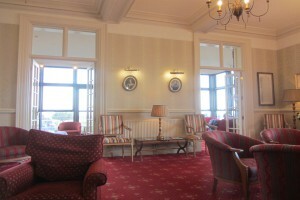 The comfy Lounge area is wonderfully light and airy and has an added conservatory with spectacular views towards the sea. This is a lovely place to sit and totally unwind, enjoying a cup of coffee, drink or even afternoon tea whilst at the same time marvelling at the fantastic sea views. 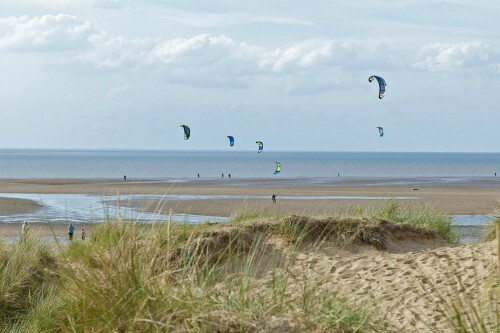 You may even see the parachutes from the kite surfers on the beach below. It also has plenty of parking too. 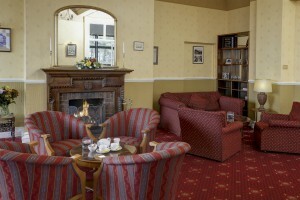 This Best Western hotel is rated a 4 star hotel and has 46 bedrooms. Adjacent to this room is an “information room” for the residents. If you're having withdrawal symptoms from your computer, or want to look up something, then nip along to this room and feel free to use the desktop computer! Or spend some time browsing through the leaflets, or decide where you'd like to visit by studying the huge OS map on the wall. Many of the rooms have been refurbished over the recent years and improvements are constantly being made to ensure Le Strange Arms maintains the very high standards expected on this Norfolk coastline. 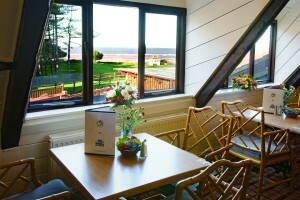 Most of the rooms are large and are really very comfortable and many have sea views. What I like about the rooms is that they are all individually decorated so no two rooms are the same. 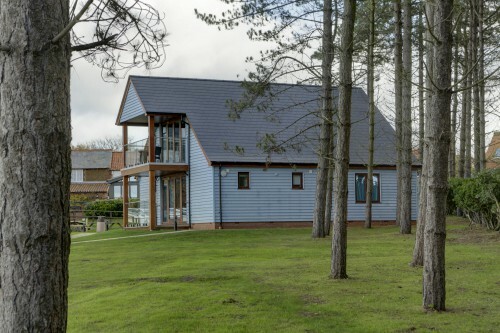 Two recent additions to Le Strange Arms are the very modern self-catering detached buildings which overlook the sea and are a short walk from the main hotel but still within the hotel grounds. This is your perfect chance to have a family self-catering holiday in a very modern apartment and both have stunning coastal sea views. 2 bedrooms on the top floor. 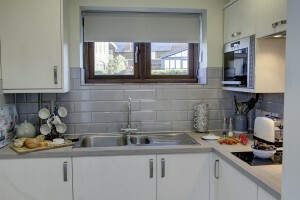 Each apartment has its own very modern kitchen with a dining and seating area, balcony and views to die for! 2 rooms on the ground floor which are not self-catering if taken separately from the apartments above. These apartments would be an excellent choice for a family self-catering holiday as the building can be taken as a whole, and with multi-generational holidays now very popular, this is the perfect place to book your holiday. It can also be taken as separate apartments too. If you want to bring your dogs to The Boat House, here are the general rules. Two of the ground floor rooms here in the Boat House are dog friendly, but these two ground floor rooms would not be on a self-catering basis because they are rooms only, there is no kitchen area or lounge. 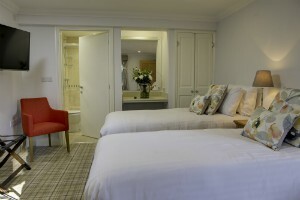 You would therefore not be able to eat any meals in the rooms but they can be booked on a bed and breakfast basis. However, dogs are also allowed in the apartments in The Boat House, as long as the whole floor is taken. So you could be 3 couples holidaying together with your dogs and take the first floor apartments, or you could be 2 couples and take the top floor with your dogs. Or, as mentioned above, you could take the whole of The Boat House and have the dogs with you. The Boat House and Garden Lodge are fantastic editions to the Le Strange Arms, and what particularly struck me (apart from the views!) was how sound proof the large windows were. In the winter months you could sit for hours just watching the sea and not hear a sound! In the summer months you could, of course, open the doors onto the balcony and breath in the sea air. 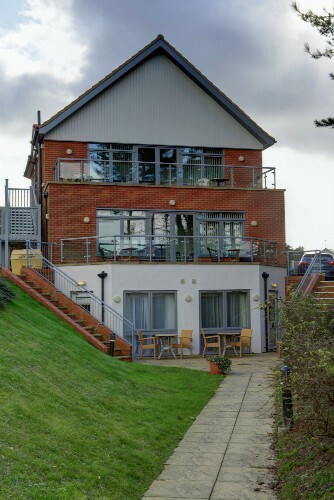 The Garden Lodge is another fantastically modern self-contained apartment that has 2 ensuite bedrooms on the ground floor and one master bedroom on the first floor with its own balcony. There is also a sofa bed in the Lounge, and you would book this as a whole accommodation. The view from the top bedroom is stunning. There’s something very magical about just relaxing and watching the waves from your private balcony! And all this on the Norfolk Coast! With Garden Lodge, you also have your own private fenced seating area outside on the lawn to while away your days and enjoy your holiday. Dining and drinking at the Le Strange Arms is open to both residents and non-residents. It’s an ideal place if you’re stopping in Hunstanton, walking along a stretch of the Norfolk Coast Path or just having a day out. 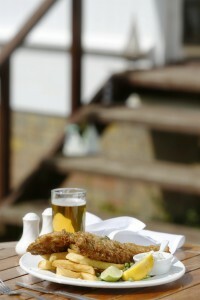 If you’re staying in Hunstanton, you could walk from there along the coastal path and drop in for a bite to eat or a drink at the hotel or pub, and then head back again! 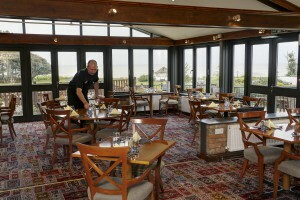 The hotel has an in-house modern bar which has it’s own terrace with lovely views of the coastline. On a sunny evening, this would be the perfect place to have a drink and relax and watch the beautiful sun setting. 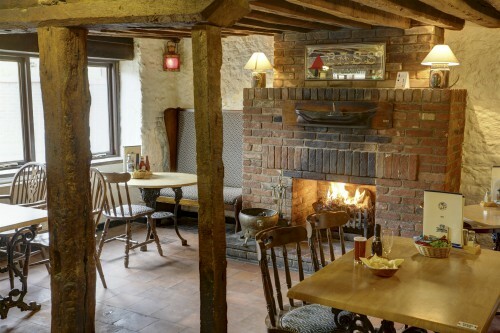 The bonus of staying at the Le Strange Arms Hotel is that you can choose to either eat in the hotel bar, the Brasserie, or nip next door to The Ancient Mariner pub – 3 choices of menus! As well as the bar, the hotel also has a restaurant called The Brasserie. This is not dog friendly, but yet again it has fabulous views over the lawn to the sea and has its own menu with locally sourced food. This particular part of the coast has the most incredible sunsets which rate as some of the very best in Norfolk. This is a wonderfully traditional beamed pub but has also been refurbished with a modern dining room for casual dining and a dining area upstairs as well. 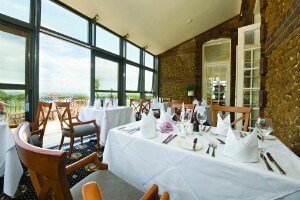 It has spectacular views of the sea from the large windows in the various dining areas. It's also very dog friendly! The pub has plenty of room for everyone, particularly in the summer months, and has a great buzz to it too! 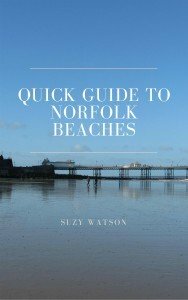 It’s one of the best places to eat, drink and enjoy some of the best sunsets in Norfolk! The hotel is excellent for accommodation, but it doesn’t need to be just for sleeping! You can drop in for refreshments, lunch, coffee, Afternoon Tea and dinner. If you like to take a few walks when you’re on holiday, then the Le Strange Arms is an excellent place to base yourselves. There are various walks in the vicinity, and the Le Strange Arms is right on the Norfolk Coast Path, so perfect for a long linear walk and then all you need to do is to catch the bus back. If you’re a nature lover and you’re not a member of the Norfolk Wildlife Trust, you can get 50% off your first year’s NWT’s membership when you stay at Le Strange Arms. 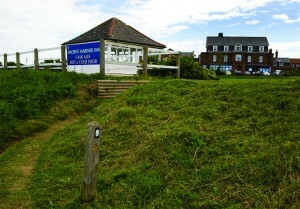 For golfers, it’s also right next door to Hunstanton Golf Course, one of top 100 best golf courses in UK. There are so many golf courses in the area and close to Le Strange Arms, that it makes it a perfect place to come and stay. 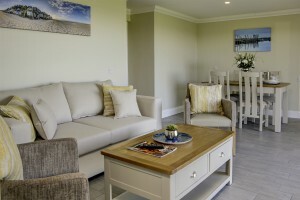 Why not take one of the self-catering apartments with your group of friends and enjoy the coast as well as the golf! 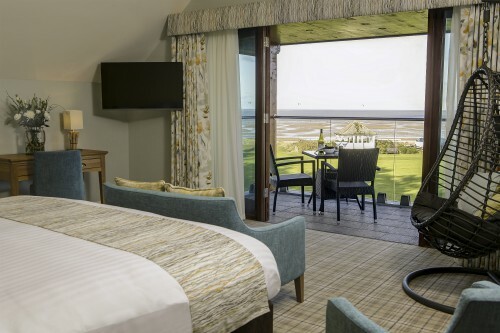 Le Strange Arms has one of the best sea views in Norfolk, and with it’s spacious rooms, friendly staff and choice of dining, it couldn’t be a better place to stay if you are looking for somewhere on the West Norfolk coastline.